DOHA, Qatar – South African 400-meter gold medalist Wayde van Niekerk and women’s tennis champion Monica Puig received global awards on Tuesday for their performances at the Rio de Janeiro Olympics. Van Niekerk won for best male athlete of the games and Puig for best female athlete in the Association of National Olympic Committees awards. 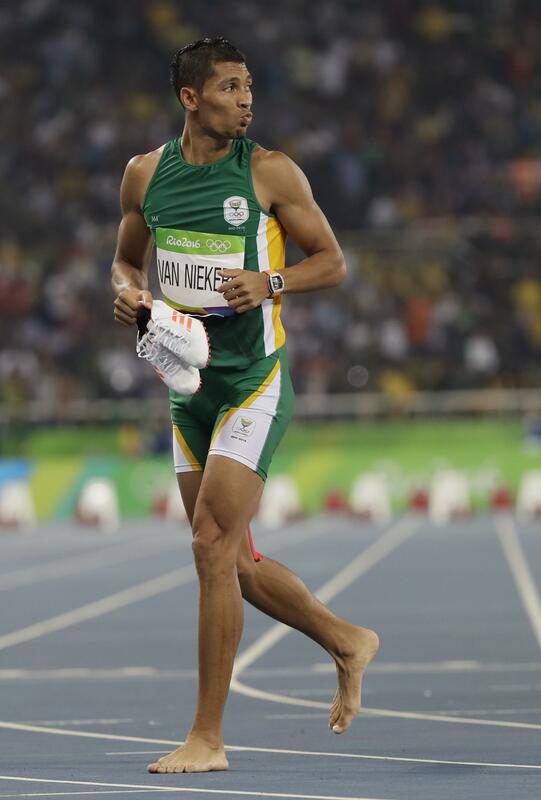 Van Niekerk, running in lane 8, won the 400 in a world-record time of 43.03 seconds, breaking Michael Johnson’s 17-year-old mark of 43.18. Puig beat Angelique Kerber in the women’s tennis final to win Puerto Rico’s first ever Olympic gold medal. The two picked up their awards at a ceremony on Tuesday night in connection with the ANOC general assembly in Doha. The men’s team award went to Fiji’s gold-medal winning rugby sevens team, with the female prize going to Britain’s winning field hockey team. Brazil’s Rafaela Silva, who grew up in a Rio slum and won a gold medal in judo at the games, took the award for most inspirational performance. The British Olympic Association was honored as the most successful national Olympic committee after finishing second in the medals table behind the United States with 67 medals, its most ever on foreign soil. Britain, which won 65 medals at the 2012 London Olympics, became the first country to win more medals at an Olympics immediately after hosting the event. `Breakthrough’ awards were given to countries which won their first ever Olympic medal or first ever gold medal in Rio – Bahrain, Ivory Coast, Fiji, Jordan, Puerto Rico, Singapore, Tajikistan and Vietnam.